Here is Jesse, my leprechaun. Here is Georgia the doctor and Riley the Army Commando guy. I actually changed my mind and I am going to wait until the very end to show the photo of the zombies since it really is kind of scary and I will warn you before in case you want to leave and not see them. 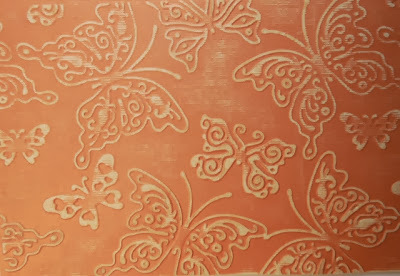 Remember yesterday when I shared a card that I made using my new 6" X 6" Embossalicious Embossing Folder - Ornate Butterflies? And I mentioned that you might be seeing those butterflies again? Well, here is your chance to see them again. I made a Joy Fold card today. First I pulled out a couple of my dies and the paper scraps I had left over yesterday. 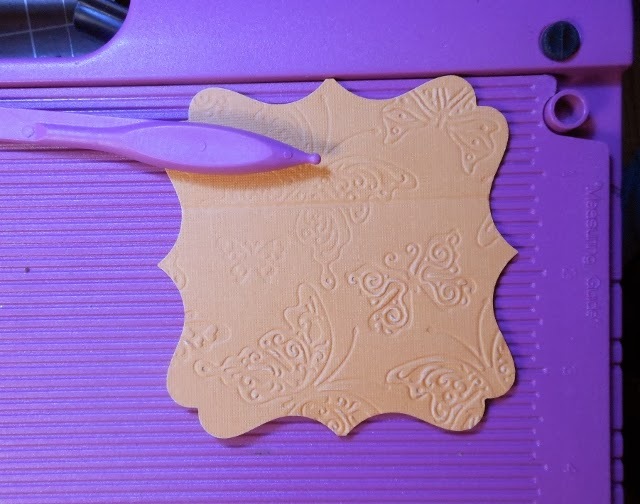 I started with the bigger one and die cut the card stock that I had embossed using my 6" X 6" Embossalicious Embossing Folder - Ornate Butterflies. 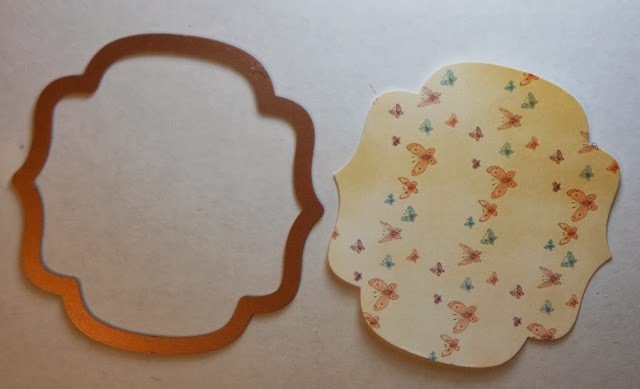 Then I grabbed my smaller die and the custom butterfly paper I printed yesterday using my Bebunni Papercrafting Double Disc CD-ROM and die cut that shape on my eBosser too. Here's the other die cut piece. 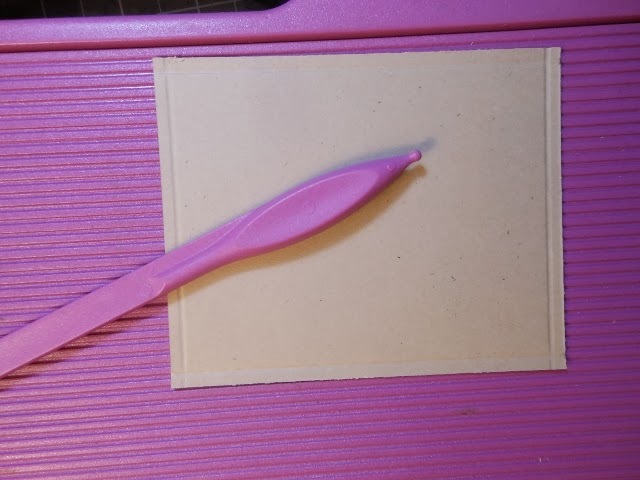 Okay, now if you look at the finished card you will notice that the two die cut pieces will end up being the two sides of your card which open up to show you the inside of the card. Using your boxer board you need to score down one side of each of these two pieces. I must admit I'm an eyeballer and I just eyeballed it. hehehe You want one side to overlap the other. Here is what it looks like with the die cut pieces glued down. Now you just adhere them to your not embossed Kraft base by lining the fold up along the edge. Adhere one to one side and the other to the opposite side. 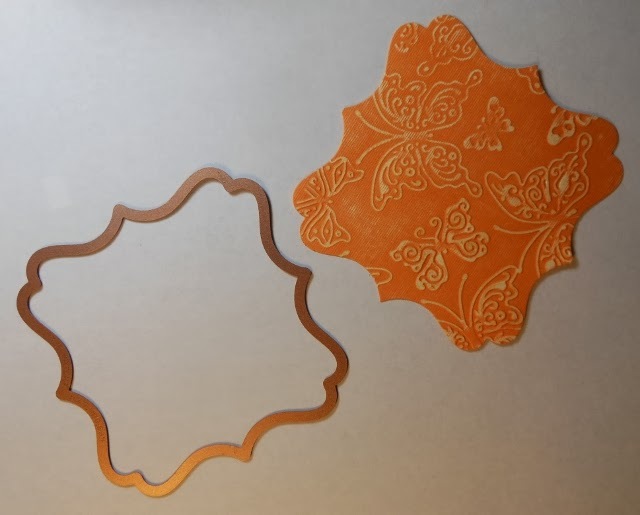 Next you glue down the other piece of Kraft paper with the embossed edges on top of the other one. This will cover up the edges you have glued down. 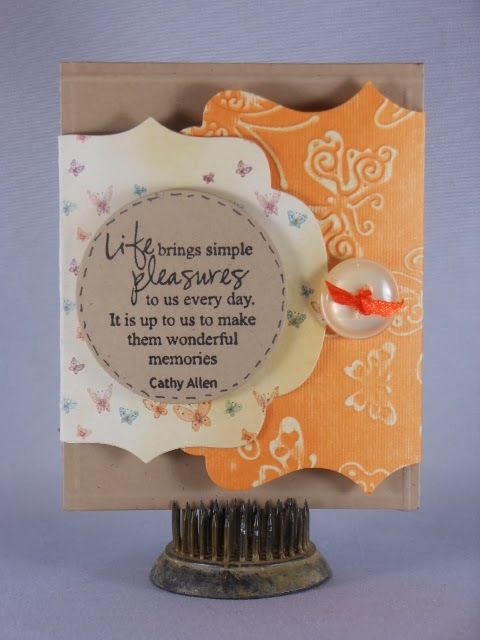 Now I stamped out a quote from my Stamp-It Australia EZMount Stamp Set 60 - Friendship Sentiments onto a piece of Kraft paper and adhered it with double sided adhesive squares to the front of the smaller die cut piece. And since I wanted my card to stay closed I glued on a button using a double sided adhesive square too. 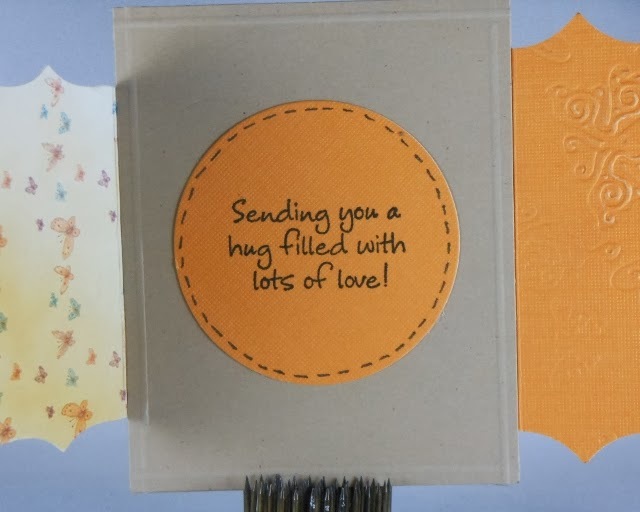 I finished out the inside by stamping out a sentiment from the Party Paws - Hugs from Bamboo stamp set onto orange cardstock and then die cut it out with a circle die. Then I drew some faux stitching around the outer edge and adhered it to the inside of the card. Hello my friends! I'm back from my trip to Arkansas and I'm recovering pretty well from my wrist surgery. Did you even know I was gone? !~ ha It has been awhile since I was able to be creative (most of my projects were made before my surgery and trip) so I've been feeling scrappy! 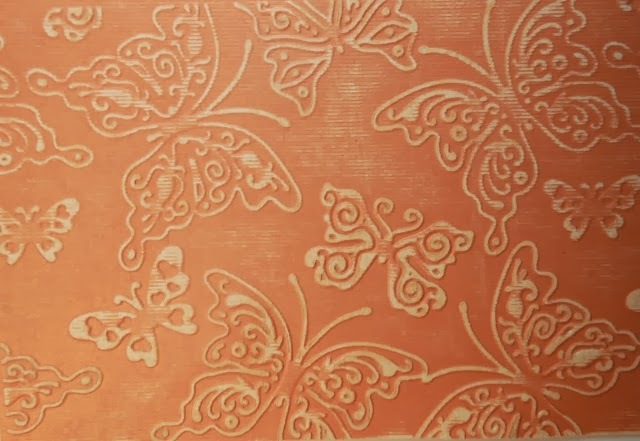 You can imagine my delight when I went out to my mailbox today and found one of the brand spanking new 6" X 6" Embossalicious Embossing Folder - Ornate Butterflies that I received from Crafter's Companion!! Sadly, my scraproom is a total pit so it took me about an hour or so to dig out my scrap desk! ha But after I finally found it I got busy making this card. I started with a sketch challenge from The Sweetest Thing. 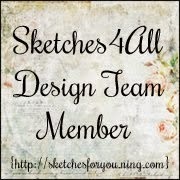 The fun sketch along with my gorgeous new embossing folder really got me inspired to create! I made the card base with the kraft paper, then pulled out some orange cardstock from my stash. I embossed a piece with my lovely new embossing folder and also trimmed some to layer on the card. I embossed a large piece of this orange cardstock...I might be making another card with it to share soon! ha It is too pretty to waste! 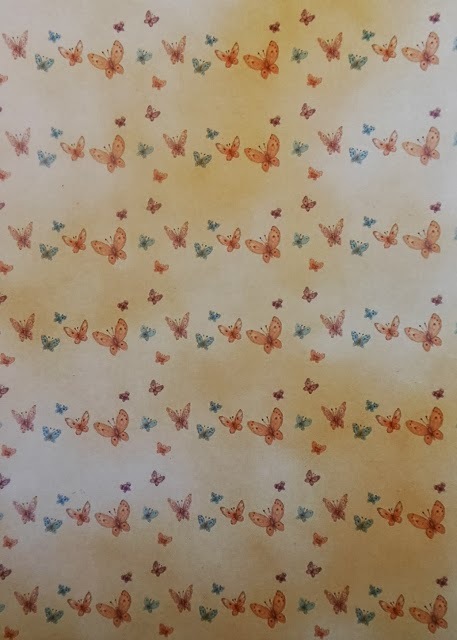 I stamped out the largest butterfly from Sheena's A Little Bit Scenic - Flying Colors stamp set using some Tsukineko Delicata ink in Golden Glitz. This ink is so yummy! I fussy cut the butterfly out and rolled his wings around a pencil to give him some dimension. 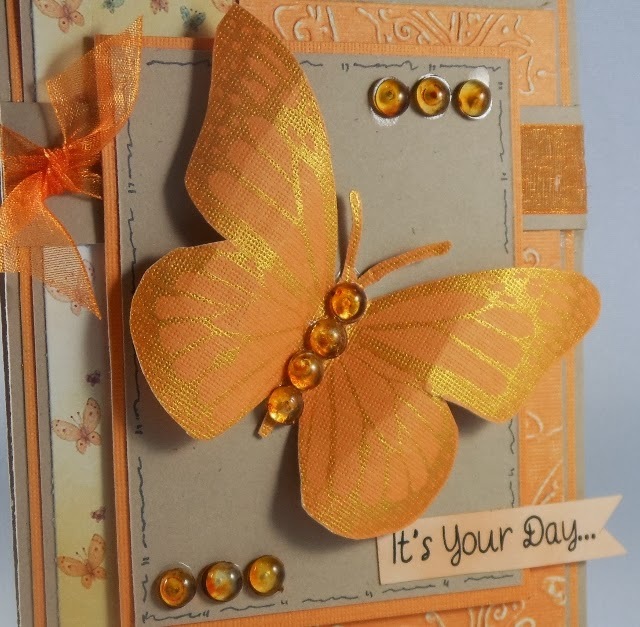 I pulled out my caramel skittles from my friend Carri and added some to the body of the butterfly and to the topper of the card. I love these so much. They just make things a little extra special. For the sentiment I grabbed my Bebunni EZMount Stamp Set - Bebunni Celebration and stamped out "It's Your Day" with my Tsukineko Memento Ink in Tuxedo Black on Luxury Centura Pearl Snow White Cardstock. 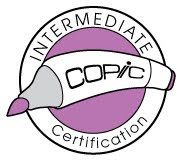 Then I colored it with my Spectrum Noir FS3 marker to color coordinate with my papers. I finished the card with a bit of ribbon from my stash. 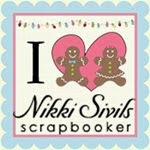 Brandi has an "Enabler" giveaway on her blog, Lucky Flutterby Creations!! Go check it out. This month the challenge on the Crafter's Companion Challenge blog was "baby" so I decided to make a baby card. (the "Baby" challenge will be moved to November at Crafter's Companion because of problems during the site upgrade) These adorable bunny images are just perfect for making a card for a new baby. I decided to step out of my box and make an oval card. But first I stamped out my image and colored it with my Spectrum Noir markers in TB1, TB2, TB3, PP1, PP2, IG1, IG2, IG3, BG2, and BG3. I colored my sentiment with TB1 and trimmed it into a banner shape. I finished it with some faux stitching. I die cut my colored image out and then die cut my base card out of the next larger oval die. I wanted to go a bit CAS on this card. (If you can be CAS with a colored image! ha) I doodled around the image and adhered it to the base card. 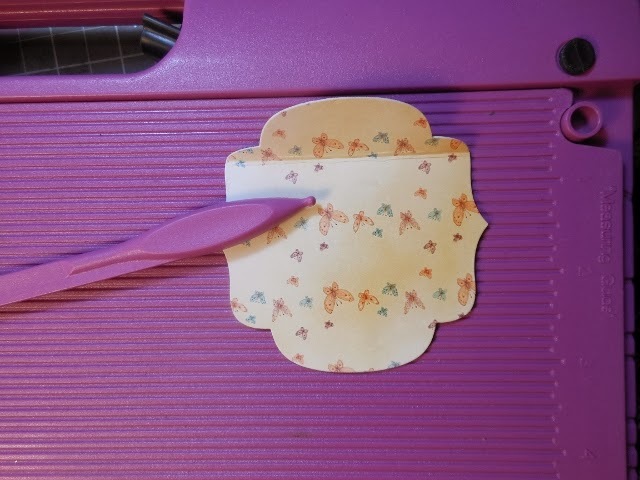 Next I made a bow on my Ultimate Tool with a bit of ribbon from my stash and popped up the sentiment with a couple of double sided adhesive square. All baby cards need a bit of sparkle so I finished with a couple of dabs of Crystal Stickles. Love it! 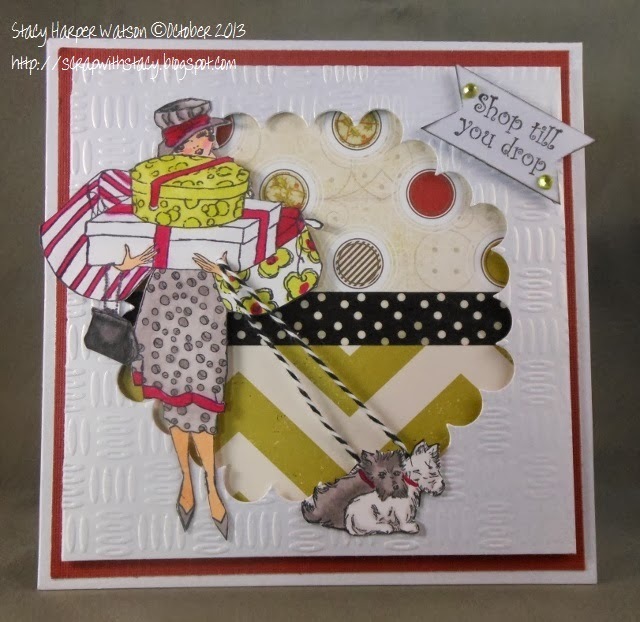 Now it is your turn to make a baby card for the Crafter's Companion challenge for November! 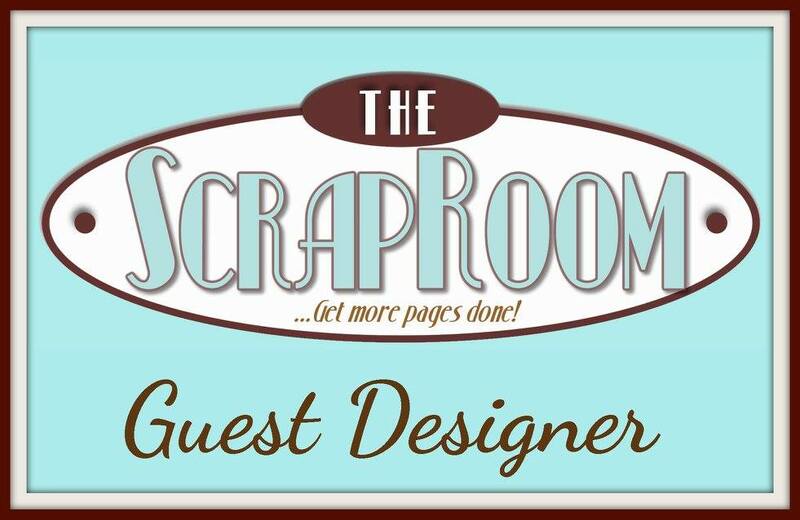 You might be the lucky winner of the $30 gift certificate to the Crafter's Companion store! There will be two challenges in November and two prizes!! 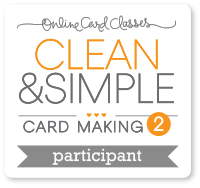 Get your baby card made now so you will have it ready to go! Thanks for visiting today. Until next time...happy scrapping! WOOT! 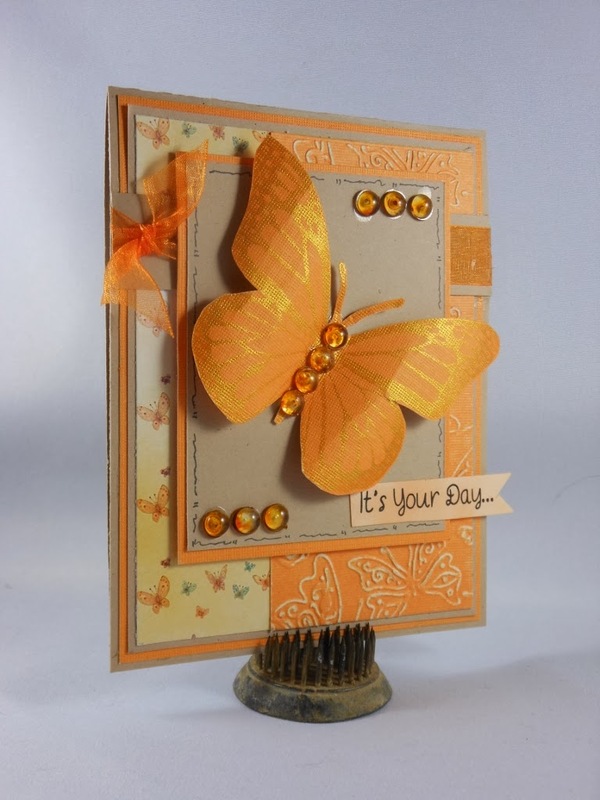 Today is the launch day for a brand new collection of Stamp It stamps over at Crafter's Companion!! I adore Stamp It stamps! This one is for the holidays. There are 4 new stamp sets to drool over and hopefully get to order. 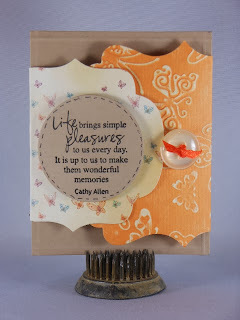 I used the Stamp It - Twinkle - Joy and Spirit stamp set to make the card I'm sharing today. I stamped out the pretty Eiffel Tower onto some pearlescent green paper and then trimmed it to fit inside a wooden frame I got from Micheals the other day. 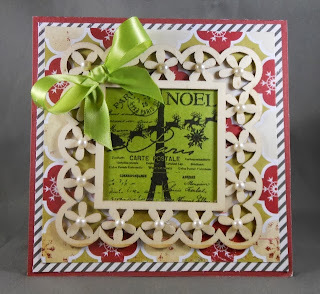 I layered it onto some Fancy Pants - My Little Christmas paper and finished it off with some pearls and a bow that I made on my Ultimate Tool. I'm back today with another sweet, sweet Makey Bakey card. I'm totally loving these mice! This one is to celebrate baby's first Christmas. 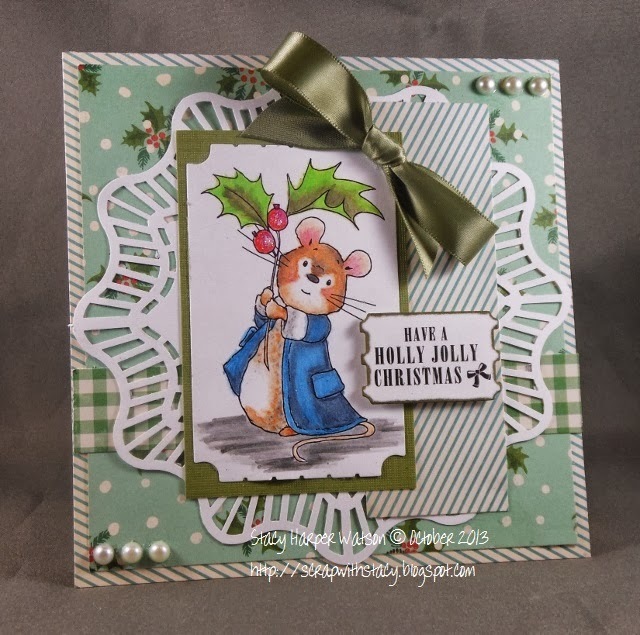 I used the image from the Makey Bakey Christmas EZMount Stamp Set - Christmas Snuggles. I colored the image with my Spectrum Noir markers in TB3, TB4, TB5, PP3, PP4, IG1, LG1, TN1, TN2, TN3, TN4, TN6, and Blender pen. 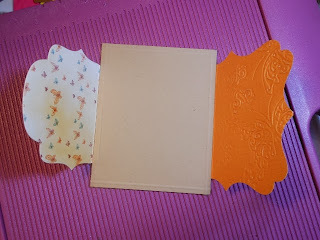 I embossed a piece of white cardstock with my 6" X 6" Embossalicious Embossing Folder - Let it Snow and layered it behind some pattern paper from my stash. I stamped out the sentiment and then colored it with my Spectrum Noir markers in TB4 and FS2. I trimmed it into a flag shape and added it to the card with double sided adhesive squares to raise it up off the card for a bit of dimension. I finished it up with a bit of ribbon tied into a bow on my Ultimate Tool and a couple of blue glitter skittles. This is a perfect card for the October "Baby" challenge from Crafter's Companion. Have you entered yet this month? There is still plenty of time to join in the fun. You could be the lucky winner this month! Here is a sweet little Christmas card that I made using a stamp from the Makey Bakey Mice Christmas collection. I used the Makey Bakey Christmas EZMount Stamp Set - Holly Jolly Christmas. 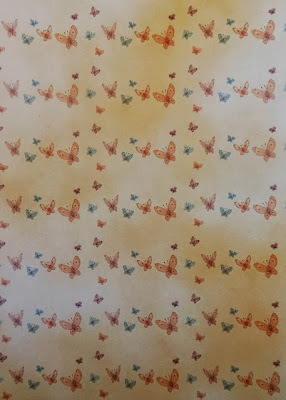 I decided to paint the stamped image with my new Inktense Watercolor pencils. They were fun to play with and I'm happy with how the little cutie pie turned out. 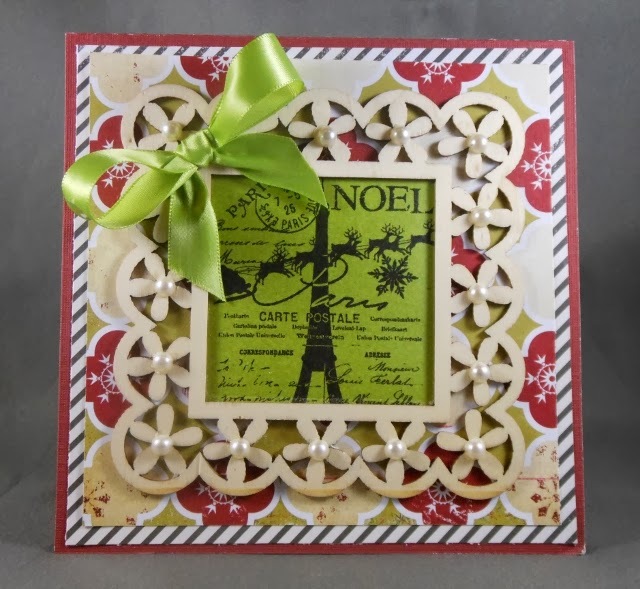 I layered some papers from October Afternoon - Make it Merry and then topped them with a doily that I punched out with my Martha Stewart circle punch. Next I layered a few more pieces of patterned paper and then added my image. 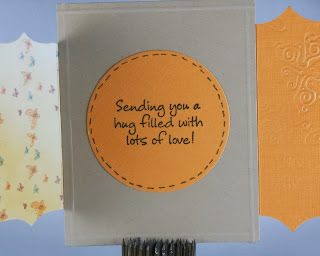 I finished the card by adding my sentiment with double sided adhesive square to give a little dimension to the card. The last bit was a few pearls from my stash. 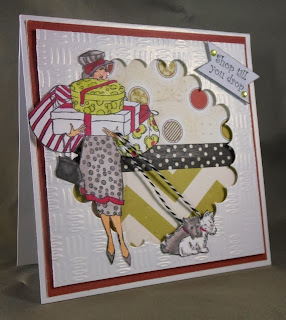 Beautiful and totally FAB card.Wow these are awesome ink pads.Thanks for sharing and the chance to win. 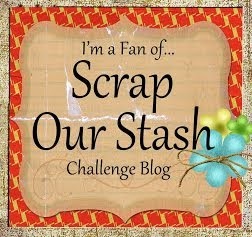 Rachelle, please email me you full name and mailing address to Scrapwithstacy(at)Gmail(dot)com by September 23rd. If you do not email me by this date you will forfeit the prize. Thanks to all who hopped along. 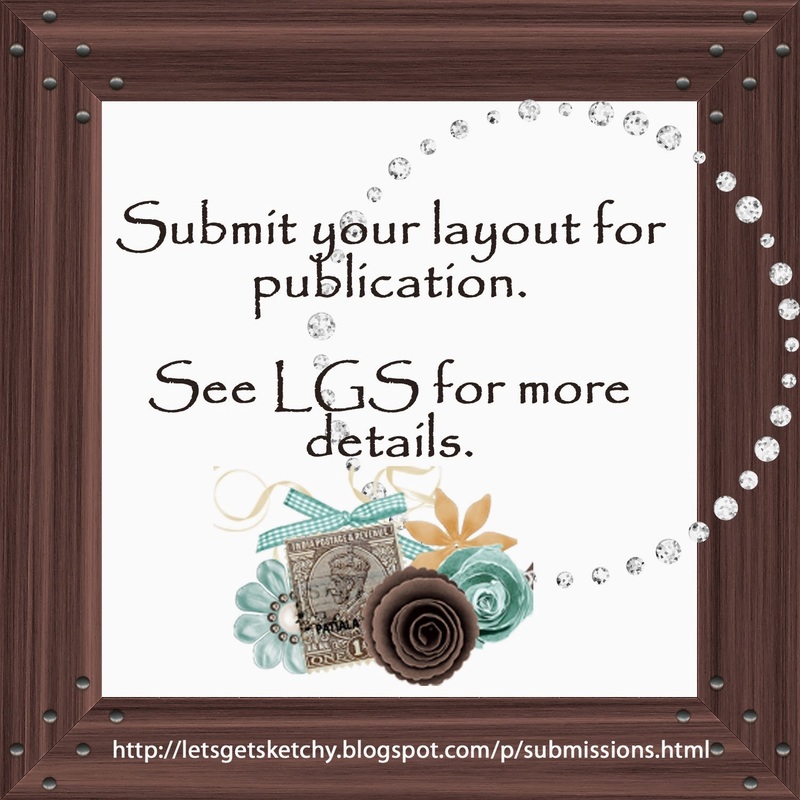 Be sure and go over to Crafter's Companion to see if you are a winner over there. 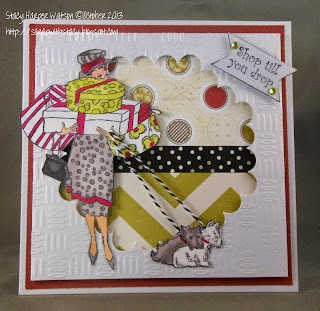 World Card Making Day Blog Hop!!! Hello!! Glad you found time today to hop along on the Crafter's Companion WCMD Blog Hop! I made this fun card to share using my Frou Frou EZMount™ Stamp Set - Shoppe. I stamped out the images with Tuxedo Black Memento ink onto a sheet of Ultra Smooth Premium White Cardstock. And then I colored them with my Spectrum Noir Markers in Dogs - DR5, BG1, BG2, BG3, Girl - FS1, FS4, BG1, BG2, BG3, BF6, BG10, DR5, DR6, PP2, CG2, IG1, Sentiment - IG1. I embossed a sheet of 6" x 6" Printable Snow White Cardstock using my 6" X 6" Embossalicious Embossing Folder - Gun Metal. Then I pulled out a scalloped edge die and cut out the center of the embossed sheet. 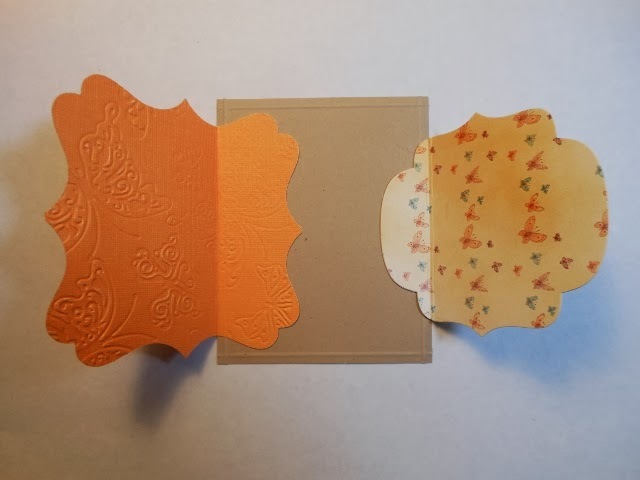 I added some pattern paper and washi tape to the base of the card and then centered the die cut and embossed sheet over them. I adhered it to the card with double sided adhesive squares to give extra dimension. Crafter's Companion has got a fun contest for you, and an exclusive coupon: today only (Saturday, 5th October 2013) use the coupon WCMDFB to receive $10 off a $30 order! This is a crafter's holiday... so why not treat yourself to something from your wish list? Visit our website today! Several of our designers have created cards to share with you, to share some crafty inspiration! 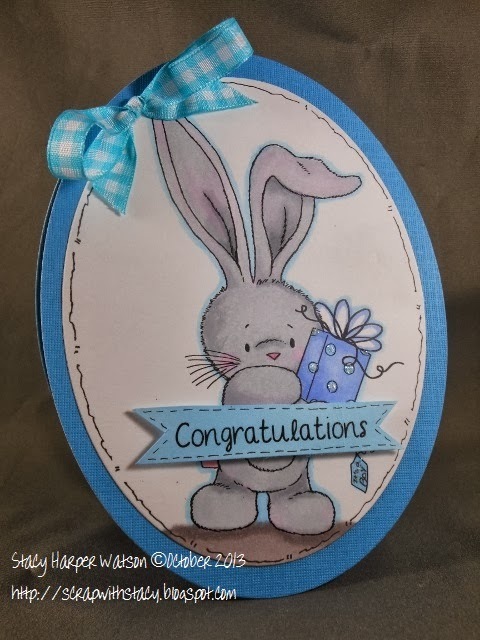 Hop over to the Crafter's Companion Blog and see the list of participating designers then hop around to see what they've been working on, then head back to the Crafter's Companion Blog and link up your own projects for a chance to WIN a stamp set of your choice from Crafter's Companion! How do you win a stamp set? It's easy! 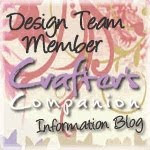 Just share as many projects as you like (please make sure you have used at least one Crafter's Companion US product on each entry), created to celebrate World Card Making day (which means they have to be NEW, and posted today or after) and link them on the Crafter's Companion Blog! That's it! You have until Tuesday 9th October to add your link - they will pick one winner and post the announcement on Wednesday 10th October. If you follow my blog and leave a comment, your name with be thrown in the hat to win four Memento Dye Ink pads - Rhubarb Stalk, Northern Pine, Dandelion and Rose Bud from ME! Have fun today!! Until next time...happy scrapping! My daughter, Olivia tried out for the dance team at her school tonight and made the team!!!!!! WOOT!